1Cut the sun-dried tomatoes and basil to thin strips. 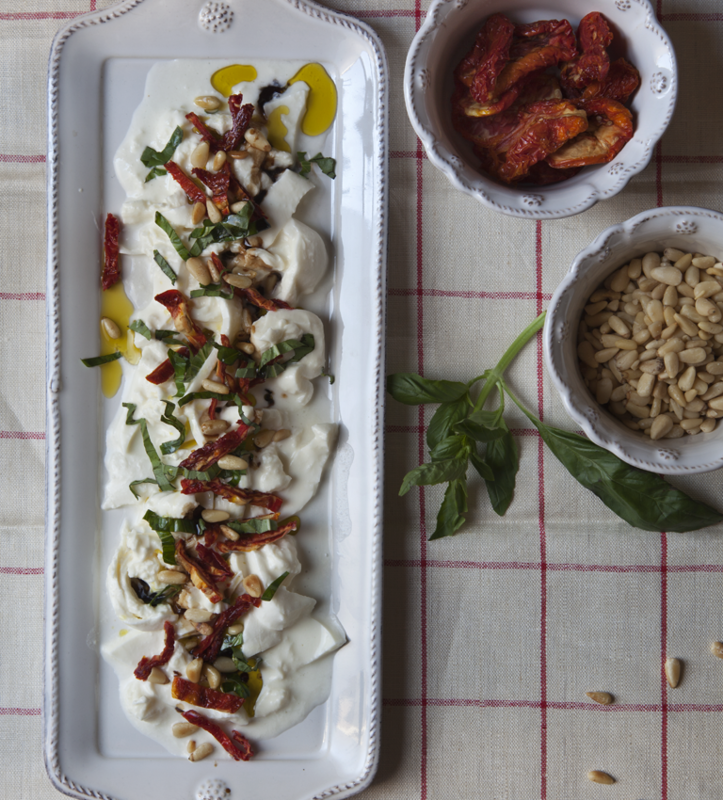 2Place the burrata on a flat plate. Cut it into big bites. Arrange the strips of sun-dried tomatoes and basil on top. Add the pan-roasted pine nuts and drizzle with your most treasured extra virgin olive oil. 3This dish calls for delicate treatment. I’ll suggest using the finest olive oil you have. What you will get will be a complete fest for your senses. It a great starter for ‘adore-me“ dinner. If you continue with Gnocchi with rabbit ragu and then finish with Saffron Panacotta you will be the star of the night. “Good cooks never lack friends”.